I have a folder on my desktop labeled "Blog Recipes." It started out with my recipes and has since exploded to included other blogger's recipes that I am dying to try. I have just barely begun to try these recipes, unlike the ones that are collecting dust in my shoebox. First recipe tried and blogged about? Frozen Hot Chocolate from My Kitchen Cafe. I just had to find out what that was all about. 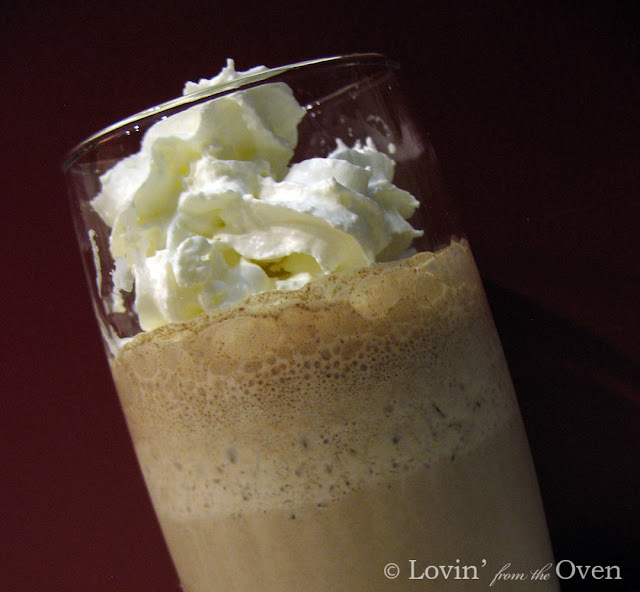 What a rich, frothy treat! This Kettle Corn Recipe comes from Joy the Baker. When I saw this recipe, I was suddenly taken back to the early 90's when microwave kettle corn was all the rage. It is such a simple recipe... so easy to make! I cut the recipe in half to accommodate my 3 quart saucepan. Heat your vegetable oil in a heavy bottomed sauce pan over medium heat. Make sure this is a pan that you can cover and easily lift and shake in the air. Put 3 kernels in your pan. Then sprinkle your sugar on top. and use 2 hot pads. until the popcorn stops popping. Transfer the popcorn to a large bowl and salt to taste. 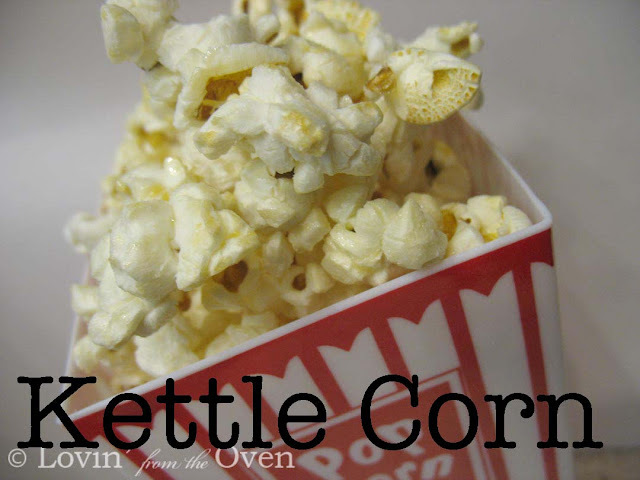 Put in a movie, grab your loved one and have some nostalgic, sweet, slightly salty kettle corn. Heat oil in a 3 quart heavy bottom saucepan with a lid over medium heat. Have 2 hot pads on hand. Once oil is hot, place 3 kernels in pan. After 3 kernels have popped, sprinkle rest of corn kernels in pan. Sprinkle sugar on top and cover with lid. Once popcorn starts popping, grab pot with hot pads, securing lid, and shake for a few seconds over the heat. Return to heat and wait a few seconds. Lift pot and shake. Return to heat and repeat process till all the corn is popped. Transfer to a large bowl and salt to taste. Stir with a spoon, as sugar is hot. Cool and serve.